Blog camp: We are really doing it!!!!!!!!!!!!! Yes, there is going to be lots of exclamation marks in this post!!!!!!! 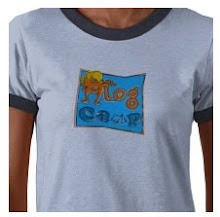 Blog camp is just a day away!!!!!!!!!!!!!!!!!!!!!!!!!! And I'm ready for it!!!!!!! Real life names of blog campers have been memorized (although pronunciation may be a problem! Forgive me. I'll do my best!). In a little bit more than 24 hours, I'll be meeting Polly at Heathrow and soon after, we'll arrive in Denmark and meet the rest. I can't believe we're really doing this!!!!!!! I've been so excited that I've been talking about blog camp with Real World People. Some get it, some don't! There's been suspicious looks and some concerns (there's even been talk of axe murderers). There's also been some great reactions, and those are the ones I'm choosing to focus on!! Because I know it's going to be great!!!!!!!!!!!!!!!!! Uggghhhh! I WANT TO GO! seriously Julie... do not leave any axes or sharp knives out when these ladies arrive.... they will be very concerned. The present have to be wrapped?!?! Sheesh, will this never end (and does toilet paper count as wrapping material?). mine aren't wrapped. and neither were the ones that our benefactor sent. and lemme tell ya, i'm not wrapping them. it's full panic mode around here. tho' the cleaning girl is here and that makes it feel MUCH better!